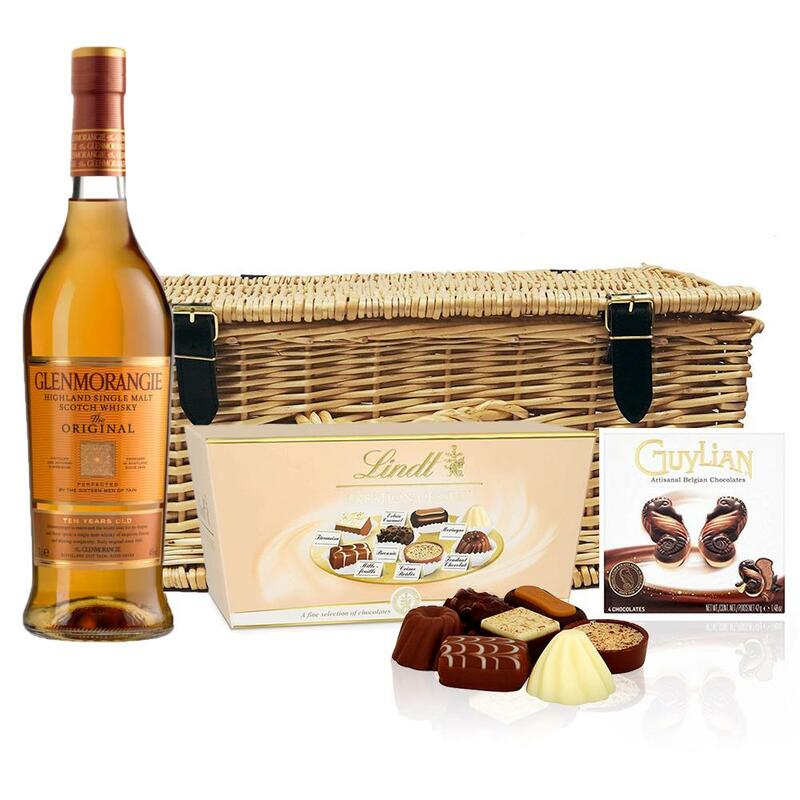 A delightful gift of Glenmorangie 10 Year Old Single Malt Whisky along with a box of Hamlet Belgian Chocolate Truffles (35g) and Belgid'Or Fine Belgin Chocolates (175g) all packed in a wicker hamper with leather straps lined with wood wool. All gifts come with a gift card with a message of your choice. Glenmorangie 10 Year Old Original Single Malt Whisky The flagship of the Glenmorangie range is realised only after a decade in American Mountain Oak casks from where the unique flavour of Glenmorangie is fully developed. It's colour is bright with a hint of pale blue it's aroma is light delicate and floral with a subtle smokiness for a well balanced fresh and aromatic flavour.